The Career Development Center (CDC) provides comprehensive career guidance to the NYU Shanghai student body. We collaborate with employers, alumni, and organizations to provide a range of resources and opportunities for students to achieve personal and professional success. Students are encouraged to utilize the resources available on the CDC student page and Student Portal. 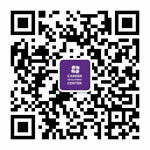 To explore job and internship postings and schedule career coaching appointments, log in to NYU Shanghai CareerNet. Employers are welcome to learn about opportunities to engage NYU Shanghai students by viewing our information for employers. Alumni wishing to engage with the NYU Shanghai community can learn more about available opportunities by viewing our alumni page. Click here to Meet our Team!